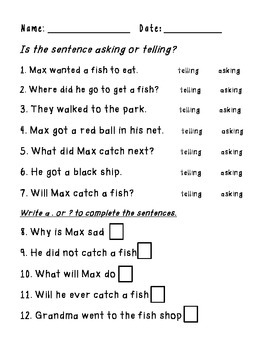 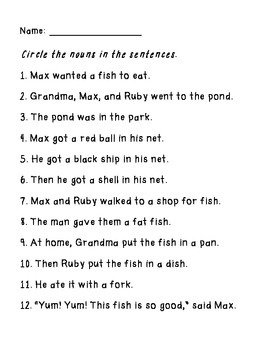 In this packet, you will find some extra grammar worksheets to go along with A Big Fish for Max (Reading Street 2008 version). 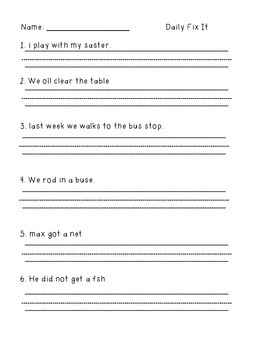 The first 2 pages are the daily fix it from the series. 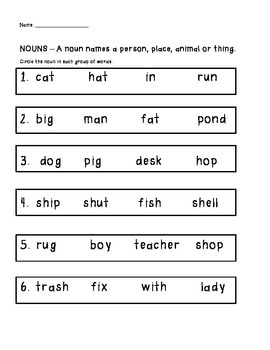 The next 4 worksheets review nouns and telling/asking sentences.